Many people forget that fingernails are the frontline of appearance. After your face, your hands and fingernails are the next thing on display that people will notice. Generally, keeping your nails in good condition is merely a matter of good diet, cleanliness, regular care and moisturising. However, sometimes the nails are affected by something that may not be your fault: a rather unsightly and annoying condition called fingernail fungus. Annoying because it is rather difficult to cure. Whichever route you take to remove nail fungus, it can take time, sometimes months, and requires a tenacious, regular approach to get the upper hand (excuse pun) and keep the nails on a relentless treatment programme that will see them back to wellness. 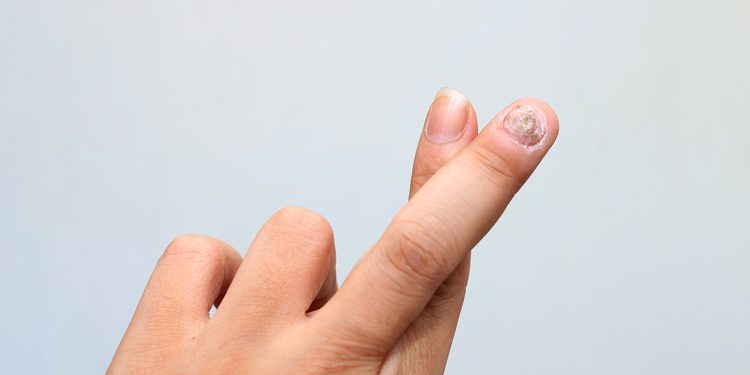 Fingernail fungus occurs when fungi or bacteria enter the nail bed. This might be because there is a crack in the cuticles or nail plate – or could be the result of bacteria inside the body. The nails will thicken, becoming yellow and cracked. There is a tendency on the part of some people to assume that the condition is temporary and will improve on its own over time. However, this is not the case, and you are going to have to engage in a protracted effort as soon as possible. While the fungus is not highly contagious, it can be very common. Certainly more than one person in a household can be found with fungus, and therefore it can be transmitted through intimate contact. It is important to identify the type of fungus causing the infection. In cases where you require medical help for the condition, your doctor will take nail clippings or scrape debris from under your nail, and forward these samples to a laboratory to ascertain fungal type. There may be other conditions, such as psoriasis, which can give a very similar look to fingernail fungus, as can other micro-organisms such as yeast and other bacterial infections. Knowing what type of fungus or infection you have, will dictate the course of treatment. The good news is that there are several ways to treat the condition – both prescriptive and home methods. While using prescription treatments may work a little faster, they are expensive and can carry some side effects. The oral antifungal drugs, such as terbinafine (Lamisil) and itraconazole (Sporanox) are often the first choice because they can usually clear the infection more quickly than topical drugs. They allow new nail to grow free of the fungus, slowly replacing the infected part. You may need to take this drug for a period of up to 6 or even 12 weeks. But you won’t be sure of success until the nail has grown back completely. However, other solutions exist that are cheaper, easy to apply and very effective over time. Clotrimazole Cream – is an over-the-counter cream with antifungal properties. It should be rubbed deeply into the cuticles, to the top of the nail, and under the nail. A process that needs to be repeated twice a day. Tea tree oil – an excellent antibacterial and antifungal agent. Use a cotton bud to apply the oil directly to the cuticles and the nail and let it soak in. It works well on various skin conditions – but will have to be applied three times a day. It is also good in helping to eliminate the bad smell that may sometimes accompany infected nails. A good method is to mix 10 drops of tea tree oil with one tablespoon of coconut oil or olive oil, and soak the nails. White vinegar – mix warm water and vinegar in a bowl and soak your fingernails for about 15 minutes once a day. Apple Cider Vinegar – a very successful remedy, it can be used topically or internally – or both. Due to its highly acidic nature, vinegar is able to balance the pH levels of the skin and nails. Balanced pH is beneficial in preventing fungal growth. If you do not have apple cider vinegar, you can also use white vinegar instead. Mix warm water and the vinegar and soak your nails for around 15 to 20 minutes every day. Olive Leaf Extract – another excellent choice for treating both finger and toe nails. Listerine – due to the high content of alcohol and thymol with antiseptic powers, it is not surprising that Listerine makes an excellent fungicide, and one of the best home remedies for fingernail fungus. In addition, eucalyptol, an active ingredient found in Listerine, can help to decrease pain and swelling of the infection. Soak the nails for 15 to 20 minutes each day. Then you can also try: Orange Oil; Corn Meal; Baking Soda; Sodium Borate; Coconut Oil; and good old-fashioned, soothing Lavender Oil. Keep the nails clean and without polish during the treatments. Remember to keep all nail implements clean as well, as bacteria from the fungus could also attach to these, and further infect the nails just when you think you are achieving success. Don’t share your nail tools. And once free of the infection, make sure to keep up a regular nail cleanliness routine. If you have diabetes, then fingernail fungus can be a more serious problem and you will have to see a health practitioner to supervise a more intense treatment process. If your fingernail fungus does not clear within 8 weeks, then you would need to see your doctor anyway. Dermatology is a specialty area of medicine dealing with both the medical and surgical aspects of the skin, nails, hair and its associated diseases. The aim of our society includes providing education to our members regarding safe and effective practices within dermatology, mentoring our registrars, as well as enlightening patients in this regard with the aim of maintaining excellent standards.